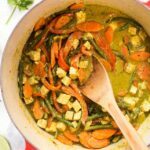 This easy Vegan Green Curry recipe is inspired by the traditional Thai dish but uses simplified and easier to find ingredients making it more accessible for everyone! About a year ago today, I was going through a tough time in my personal life and decided to take a solo trip to Thailand. It was my first time ever visiting Asia, my first time traveling alone and my first time on an 18+ hour flight. I was a whole host of emotions; scared, excited, anxious, exhilarated. But it wasn't until I landed that it really sank in. A place I'd dreamed about visiting for years and there I was. Embarking on my first solo trip, ready to experience something completely outside my comfort zone and enjoy the amazing food. My favorite dish while I was there was green curry. It's spicy, but still very light. It has a complex flavor profile without being overwhelming. And it's gorgeous. Just stunning! 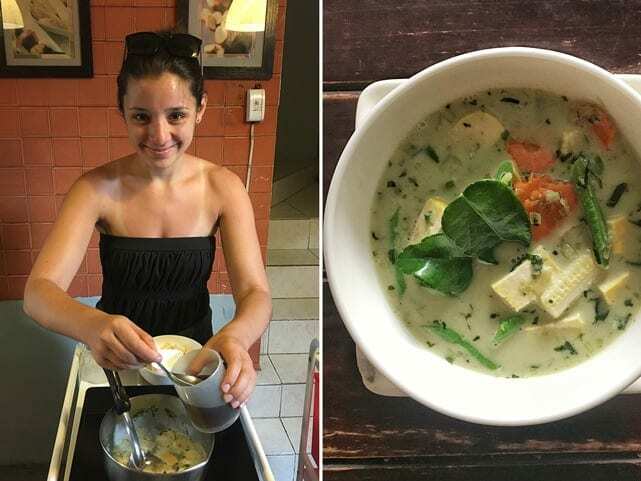 And while I was on my trip, I actually signed up for a cooking class and one of the things we made was green curry. 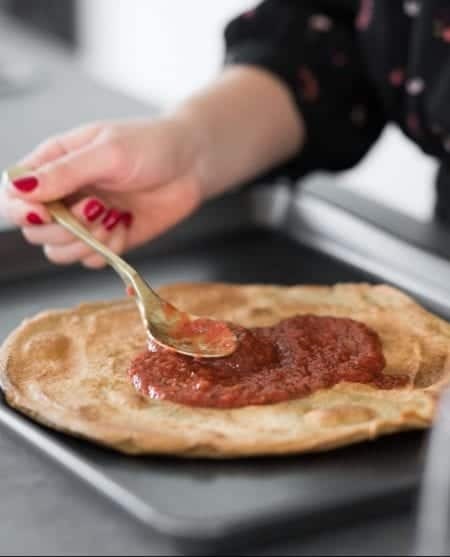 We made the paste from scratch, which I'd never done before, and it struck me how both simple and difficult it was to make. Simple in the fact that it doesn't require any special techniques, but difficult in the fact that it does require some hard to find ingredients. And I live in New York City, so that's saying something. When I got home, I did what everyone does when they want to make green curry: bought a tub of green curry paste. And it was good, but not GOOD. It wasn't very flavorful, didn't taste fresh and didn't transport me back to the bustling streets of the Phi Phi Islands. So I decided to try my hand at my own homemade vegan green curry recipe. I am specifically calling this a vegan green curry because believe it or not, most curries aren't vegan. 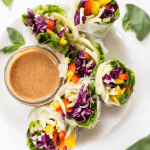 Even though they're made with coconut milk (hooray for dairy-free), they also contain fish sauce, which of course…isn't vegan! I'm also making this recipe a bit more healthy. Using less oil, less sodium and zero refined sugar. 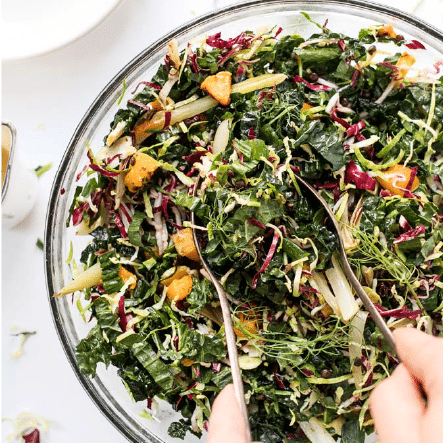 The truth of the matter is that we don't pay as much attention to the food we're eating while we're on vacation, so I want you to be able to recreate those incredible dishes in a healthy and wholesome way. One of my secrets? Dried spices. When it comes to dried spices, my go-to is always Simply Organic. Their spices are high quality, they source from all over the world to ensure that quality, and the taste is better than any other company I've tried. 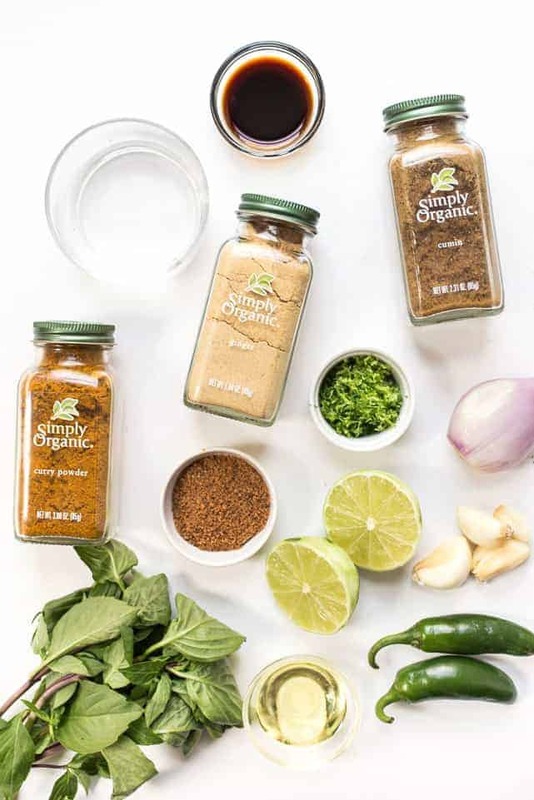 And rather than whipping up a green curry recipe that uses fresh, hard to find “spices”, we're turning to Simply Organic's line of dried spices to give this dish a ton of flavor and make it much more accessible for you! 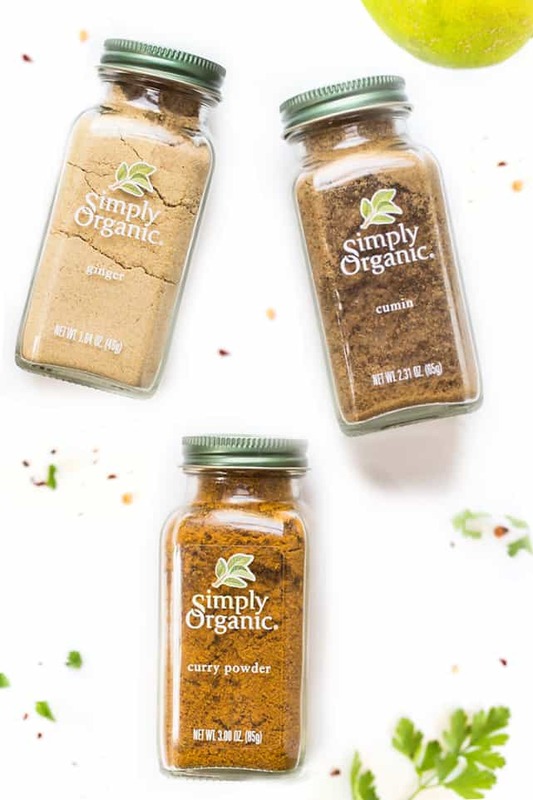 As part of today's post with my friends at Simply Organic, I wanted to also tell you about their new campaign, Cook For A Change. 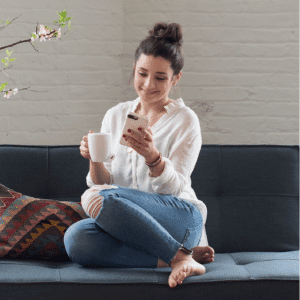 It's a campaign that is centered around enjoying the simple pleasures of food with the ones you love most and creating unique, tasty and healthy recipes all from scratch. I'm going to be partnering with them over the next three months to share recipes that are close to my heart and have made an impact on my life. And friends, that's exactly what we're doing with this recipe. 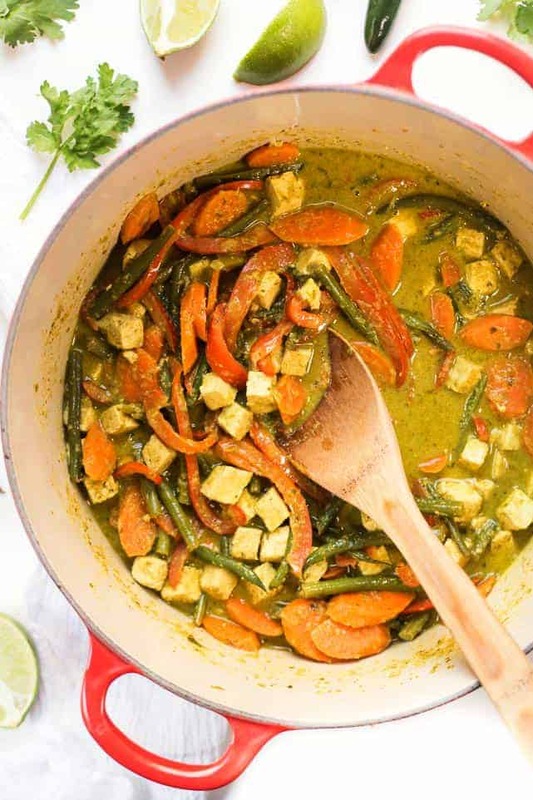 We're making a vegan green curry that is packed with plant-based goodness, will easily serve a crowd, is made entirely from scratch, takes me back to the beaches of Thailand AND it tastes freaking delicious! 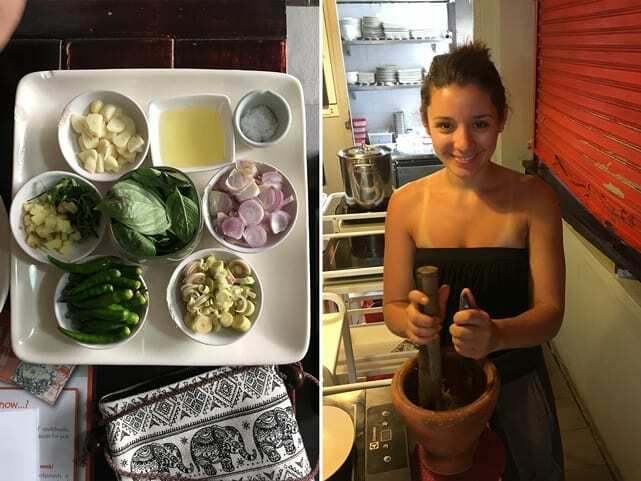 If you want to learn more about my trip to Thailand, what I did, where I stayed, etc., check out my trip recap post! 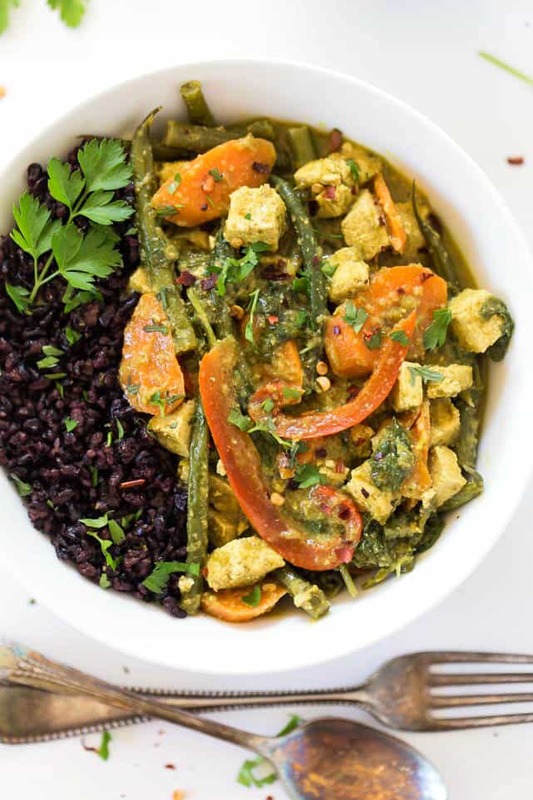 And of course, if you end up making this Vegan Green Curry recipe, send me a pic ❤ you can tag me on Instagram using @simplyquinoa or #simplyquinoa and I'll be able to give you a like and love in return! 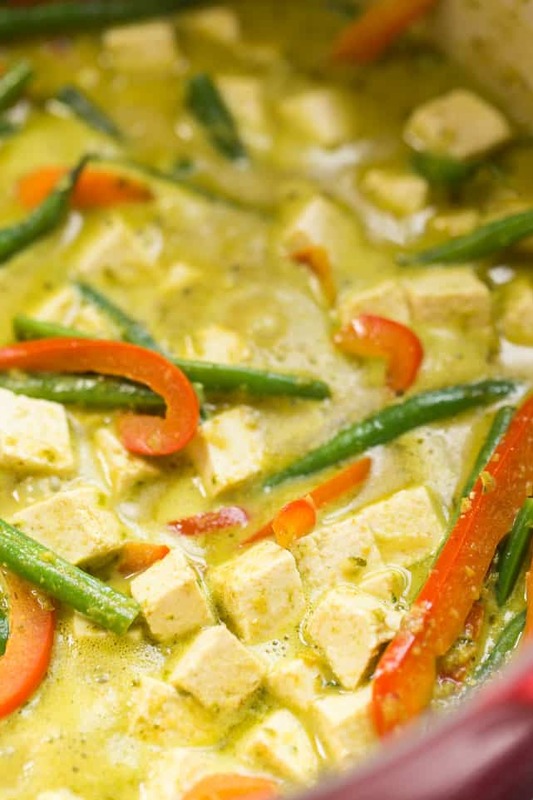 See how to make this Vegan Green Curry Recipe! Make the rice: add rice and 2 cups of water to a small saucepan. Bring the mixture to a boil, cover and reduce to simmer for 25 minutes. 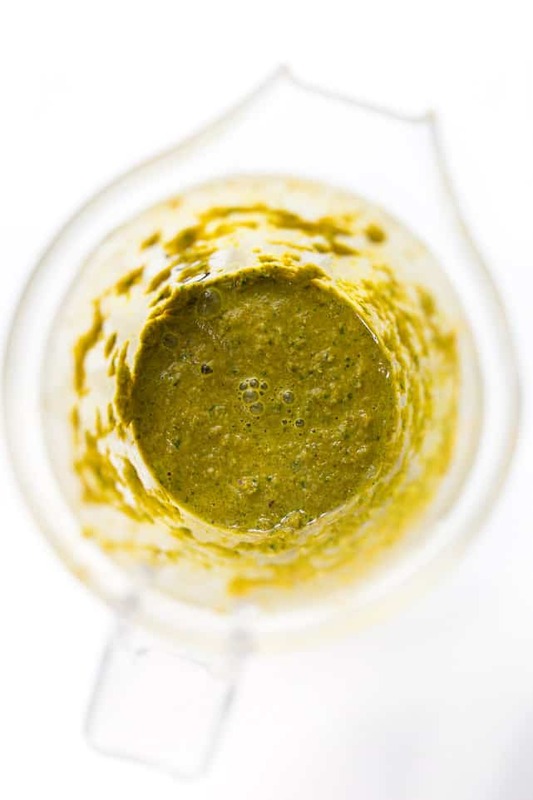 Make the green curry paste: add the shallot, garlic, lime juice + zest, 1 tablespoon oil, tamari, sugar, spices, basil and water into a blender. Blend on high until a thick paste forms, about 10 seconds. Make the curry: heat the remaining oil in a large saucepan or Dutch oven over medium heat. Once hot, add the peppers, green beans and peppers and saute until just starting to soften, about 5 minutes. Add in curry paste and stir together, cooking for another 2 minutes. Pour in coconut milk and tofu and bring the mixture to a boil. Reduce to simmer, partially cover and let cook for 15 minutes. To serve: just before serving, stir in brown rice vinegar and another splash of tamari. Divide the rice evenly among bowls and top with curry. Sprinkle with fresh herbs, red pepper flakes and a spritz of lime. 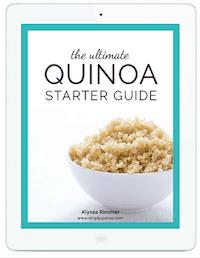 Alyssa – I just wanted to let you know that so far I have tried your Vegan Thai Green Curry & the Slowcooker Quinoa Curry and I truly love both recipes! I just started eating vegan 5 days ago, and having these yummy recipes have really helped the transition. Even my boyfriend likes eating them too and he’s a huge carnivore. I also had a colleague of mine try the quinoa curry this week and we both came in today with our versions and tried each others lol. Anyway, i just wanted to say I can’t wait to try out more vegan recipes on your site, thank you 🙂 I hope you’re having a great day. So yummy! I love this recipe. Will totally make again!